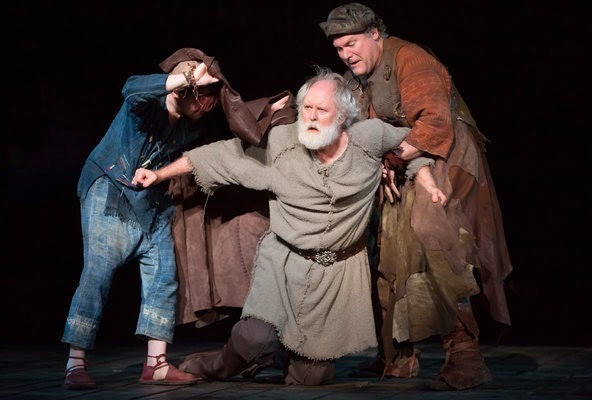 Alas, The Cripple of Inishmaan is not in that class, despite the expert direction by Michael Grandage, bolstered by the scenic and costume design by Christopher Oram that immediately place us on a cold damp island in another time. The play has a similar group of denizens of Ireland down on their luck living isolated lives on a similar craggy island. But the immediacy of Lieutenant’s travails is missing. 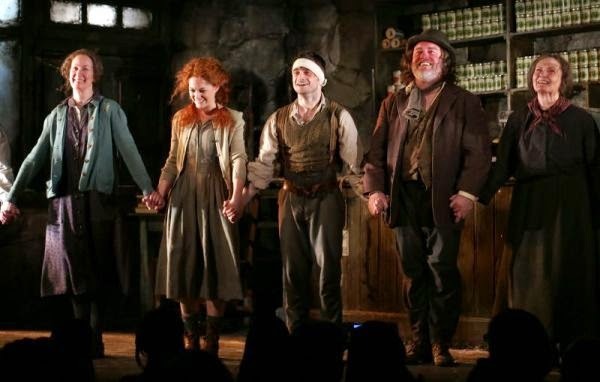 The production of The Cripple of Inishmaan just finished its limited engagement at the Cort Theatre — and practically closed 48th Street due to the mass of Harry Potter fans impeding the exits as they clamored for their golden boy, Daniel Radcliffe. The balcony at the Cort Theatre was filled to creaking with young women and men, 20-somethings, with some representation of an older generation along for the ride. We are thankful to these young people for filling the house and can only hope that 1 in 20 of them will actually discover the magic of the theatre, realizing that it is not about seeing a movie star in relative close proximity. 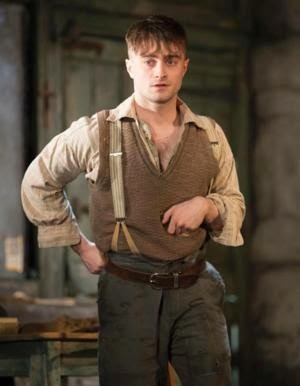 The Cripple of Inishmaan is an ensemble piece of which Daniel Radcliffe as Cripple Billy is a major part, but not the only part. To his credit, Mr. Radcliffe is well aware of this and, at the curtain call, seemed quite reluctant to step forward from his ensemble as if he were the lead. Nevertheless, with an audience of silly girls demanding it, to step forward is the safest route. Mr. Oram’s revolving stage set opens on the storefront of Kate and Eileen Osbourne, the traditional off-kilter sister act, where the two are worrying about “Cripple Billy,” a boy they have taken in and raised. On a rock like Inishmaan, where the news is delivered orally by Johnnypateenmike (a vulgar, funny, oddly loving performance by Pat Shortt) and consists largely of gossip about geese and catfights that extend to their human owners, everyone knows that Cripple Billy’s parents drowned when he was an infant. 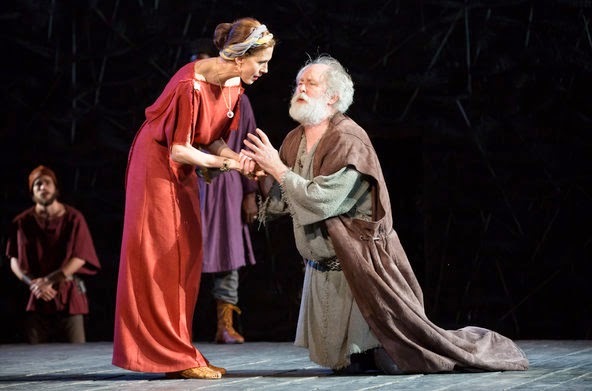 It takes the length of the play to learn the whole story about that incident and then we re-learn what may (or, considering the source, may not) be the true history of the parents. The daffy sisters as played by Ingrid Craigie and Gillian Hanna, respectively, are hilarious and heartwarming, welcoming all into their shop — the front room of their home — to share the days and the gossip and whatever food may be available. And, of course, tea. Johnnypateen’s news today is that an American film director is on the next island over, searching for people to screen test for roles in his epic about the people of the Aran Islands, off the west coast of Ireland. The chosen discoveries would go back to Hollywood for screen tests and maybe, just maybe, American film stardom. This causes quite a ruckus amongst the young people who want to leave the island to go anywhere else, any way. Helen McCormick would trade at least kisses for her fare. What has Billy to trade? Siblings Helen and Bartley McCormick are daily visitors to the sisters and Cripple Billy. Helen ostensibly to deliver eggs for the eggman, Bartley to buy “sweeties” (particular candies) that the sisters never seem to have. What they do have in the little shop is an overabundance of canned peas. Helen is a wild and pretty thing sharply played by Sarah Greene. She’s vain, bored, violent, and too adolescent to admit to anything resembling emotions, except anger. She enjoys anger. Her annoying younger brother (played wittily by Conor MacNeill) is marked forever, though not physically, for his childhood tendency to fall into holes in the road. This is the thing of growing up in a tiny place where everyone knows everybody and everything about one another: There’s no escaping the past, no future to look to or even dream of. Every person on the island is trapped by his fellow residents’ knowledge of him. 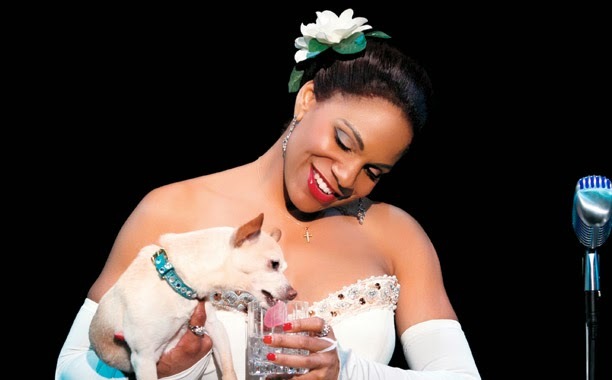 Or her. But the obvious example is Cripple Billy, who is not above wanting to escape the island and go to Hollywood either. The revolving stage reveals a cove where widower Babbybobby (a darkly romantic portrayal by Pádraic Delaney) is preparing his boat to row to the next island over. Babbybobby’s young wife died of TB. Billy leads Babbybobby to believe that he, too, is dying of TB, and needs to get over to Hollywood for whatever time he has left. The setting revolves again inviting us into Johnnypateen’s native habitat with his drunken mother (a nastily funny June Watson) in a rather tedious scene with the island’s only doctor, played with humanity and exasperation by Aidan Redmond. The scene goes on a few minutes too long and we are at last brought back to the sister’s shop. In the second act we revolve to another part of the island where the sisters, bereft in Billy’s absence, and Babbybobby, Helen, Bartley, Johnnypateen, and his drunken mother watch a grainy and dismal bit of film about the Man of Aran on a bedsheet. Helen is, as always, angry that Billy took her rightful place and went to Hollywood. When Billy returns, a failure — apparently Hollywood would rather cast a young blond Floridian who can act as a cripple than an actual Irish cripple who cannot — the sisters are angry but relieved, Helen is angry still, and Babbybobby is furious at the cruel ruse Billy pulled on him to gain passage. Of course we close in the sisters’ shop where we began, with the doctor tending Billy’s bruises and listening to his shallow wheezes. Billy makes peace with his “aunts,” learns the truth about his parents, and even makes progress with Helen, but all for naught. This is an Irish comedy, after all, and must end darkly. 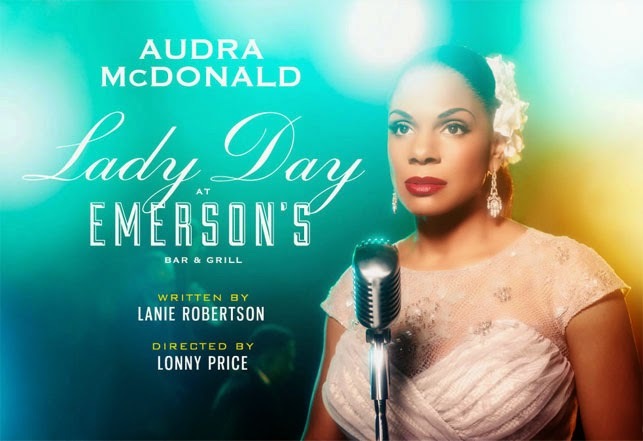 (Since this production has closed, and it is a Martin McDonagh play, I cannot consider that a spoiler.) McDonagh is a playwright, but I tend to think The Cripple of Inishmaan would have worked better as a short story. The original West-End cast does fine work together, yet Daniel Radcliffe does not appear to have their level of skill. While I admire his hard-working drive to carve an adult career beyond the Harry Potter films, he has some time to go to deserve the adulation those 20-somethings give him at the end. ~ Molly Matera, signing off to read some Harry Potter stories.